Looks so wonderful! I especially love the plants on the top of your shelves. I totally love it! I was thinking about buying similar shelf on first photo. Now I am sure I must buy it! : ) looks beautiful! Where is the big print in the second picture from? Such a pretty space! Do you live in a loft? where is the standing lamp from? 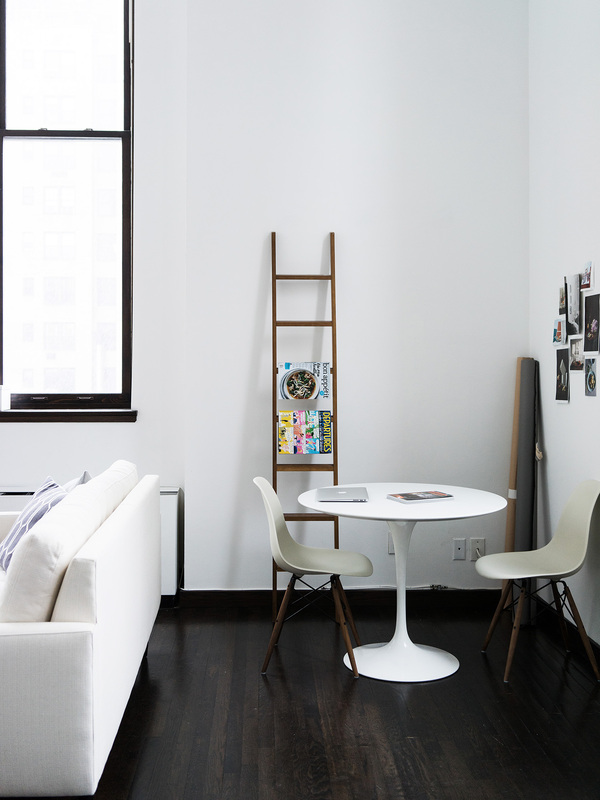 That is the tripod lamp from DWR. Gorgeous space & light...I'm amazed you're able to prevent Avedon from scratching your couch. what a nice home! so comfort! I miss that wall so much! Your home is so amazing, those big windows are so lovely! And those shleves are so gorgeous! It's often very hard to work in small places but you have done a good job and it looks very cozy. How do you take care of your sofa? I love white sofas but I can't imagine how people take care of it especially with pets. It is a struggle. I use a garment brush on it once in a while and vacuum it other times. Overall, it wasn't an "investment" couch so I hope to upgrade in a few years. I have a cat also and in the process of buying new sofa. I go between leather and fabric and can't decide. I still think that fabric is 100% more cozy than sofa but with a cat often being on the sofa its a constant struggle as you said. This is gorgeous. Quick question...how wide is the room? I'm surprised you're able to fit the tulip table behind the couch. I want to do that in my new place, but I didn't think the room dimensions would allow it. Maybe it will now. 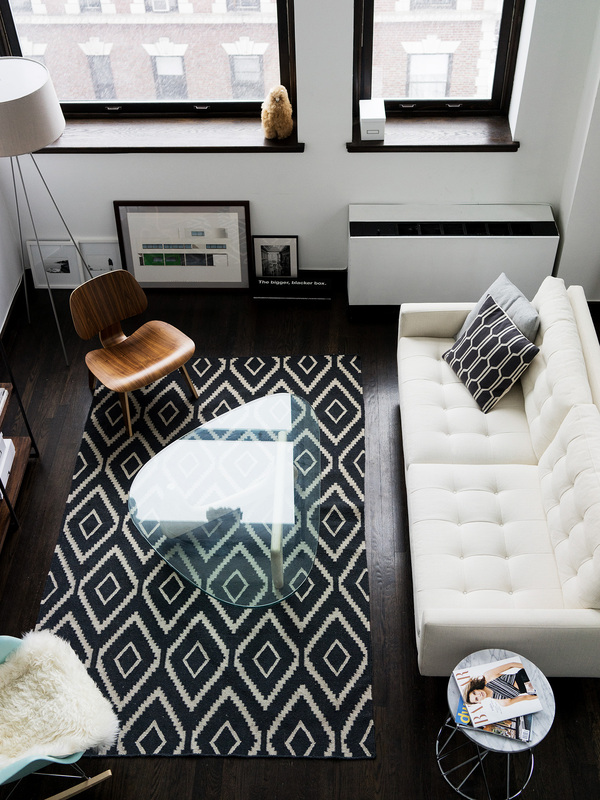 Your home looks really inspiring, I love the whiteness that catches my eye at the first look. Beautiful!! 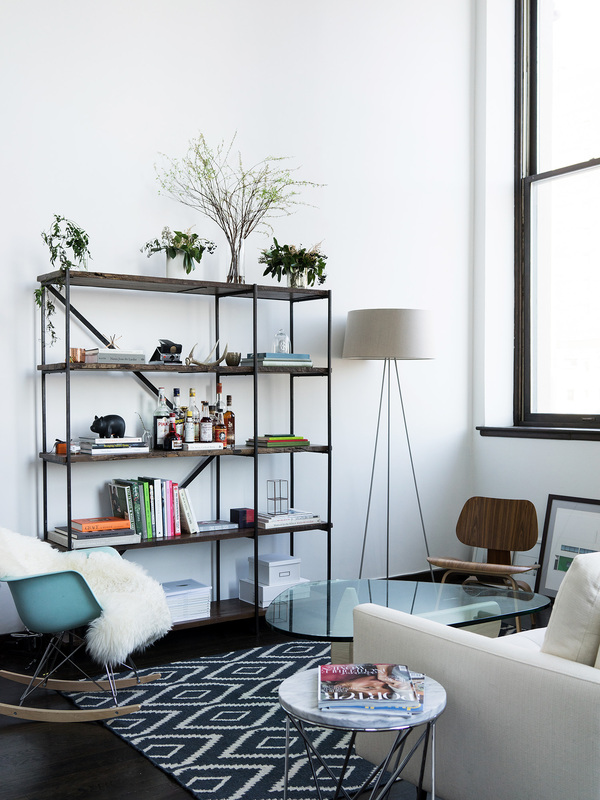 Where is that ladder/shelf from? At the risk of sounding really creepy, your entire life just looks like the epitome of elegance. I was just on your portfolio, drooling over your photos, and then stumbled upon your blog and here I am... surrounded by SO MUCH ELEGANCE. Caps for emphasis, of course. What a neat sense of style. I love the apartment! 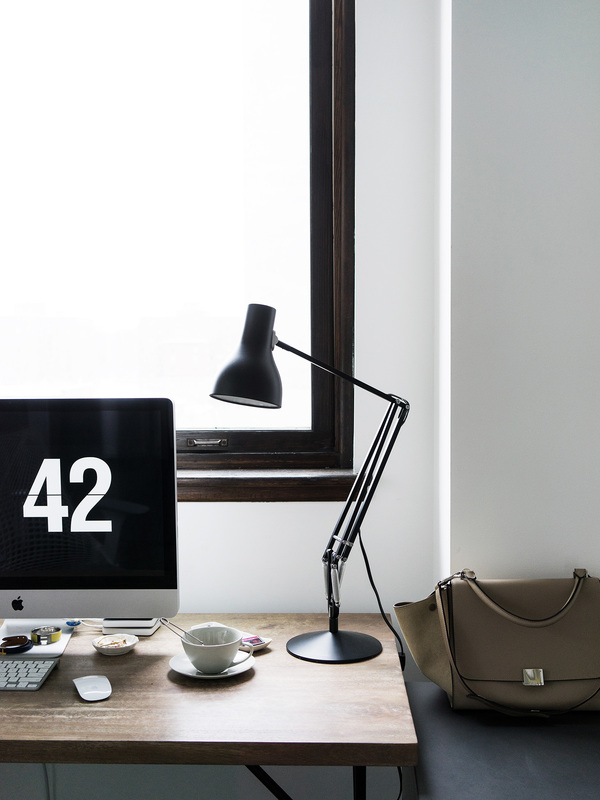 Makes me want to declutter and live slightly more minimal. I love your home! Where did you get the lovely magazine rack by your table? I'm not sure actually! It's quite old. It's just a normal ladder repurposed to be a magazine rack haha. I love your home! where does the black and white carpet comes from? The carpet is from West Elm. Alice, I'm totally admiring at how gorgeous your home is! Total envy haha. I have to ask though as I have a kitty myself who looks kind of like Avedon - what do you use as a cat tree/climber for him? Where do you store his toys? Thanks! Haha our cat uses our two flights of stairs as a jungle gym. And he plays with my lipsticks and pens. All of his mouse toys end up underneath the fridge or oven! Hi Alice, the space looks great. Love the sofa. Can I ask where it's from? Thank you! Beautiful space. It's giving me some inspiration to try (a constant, never-ending battle really…) to keep our apartment cleaner and more minimal. WOW! I love you decor! Is that shelf from the 1st pic two ikea vittsjo shelving units with wood shelves?? I am thinking of getting these since they have such a clean design and can be easily customized! ps - you have such an effortless style! love it! In love with the handbag in the last shot on this post -- would you mind sharing the designer? Hi Jen - The bag is the Celine Trapeze from a few seasons ago. First of all, I have loved following your imagery from ig, to here and there;) Always beautiful. Quick question for you, and I apologize if you've already answered this and I did not see it. Actually I rarely use a t/s! I mostly try to get my lines straight in-camera and then I fix in post if necessary. Hi Alice! Congrats, the house is looking amazing. Can you please tell me where did you get that stair shelf from?